That bible verse came back to me when I recently read the Federalist Paper #10. This paper, written by James Madison in 1787, discusses how the Union is a safeguard against domestic factions and insurrections and I’ll show how the wisdom put forth to pen and paper over 200 years ago still has value today. 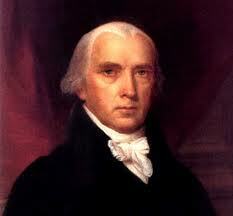 Madison states that when a faction arises, there are two ways to address it: remove it or control its effects. The first part of the paper deals with the folly in trying to remove it and the later portion of the paper deals with controlling its effects. Madison spends some time showing that a Republic is better equipped to handle factions that a direct Democracy and this is very important. In a direct Democracy, it will be easy to get mired in the minutia because every faction will have to be heard and there will be too much noise to allow for reasoned debate and voting on the issues that really matter. A Republic, where representatives of large areas make the laws, will filter out the noise and distill the minor factions out of the public debate because the representative will have a finite amount of time and will choose to focus on the issues that are important to the majority of the people they represent. The Republic also elects what Madison calls “fit characters” that are reasoned and more appropriate to debate the issues than the entire populous of the country. It is debatable if we have “fit characters” elected now but that is for another discussion. The most obvious way to control the effects of a faction is when the interests of the faction reside solely with the minority and then the majority can prevent these dangerous interests from becoming law. This is the second means that the Republic can control the effects of a faction but I want to focus on the first means that is highlighted in bold text above. If the faction interests reside in the majority, then the representatives of the majority must be wise enough to suppress those notions for the betterment of the Union and this is a key point and something that is relevant today. During the recent past, Republicans in Name Only (RINO’s) and Democrats have not prevented the dangerous interests of a majority which I characterize as relating to increased government spending and expanded entitlement programs. Madison assumed that ‘fit characters’ would rise above the disastrous faction interests even when a majority of the country wanted them but this has not been the case in the past few decades. A significant percentage of the population might like government handouts in exchange for not working but “fit characters” should’ve realized that fostering a Republic where 90% of federal income tax revenues go to pay for Social Security, Welfare, Medicare, Medicaid and Unemployment Insurance is dangerous to the Republic and should have rejected legislation that supports this scheme of oppression. In America’s history, when such dangerous interests such as slavery or segregation were present in the a large percentage of the population, the “‘fit characters” didn’t do the right thing in passing legislation to prevent these atrocities. In more recent times, the RINO’s and Democrats didn’t resist the interests of many Americans to move to a more socialistic lifestyle with increased government entitlements and passage of a socialized health care system called Obamacare. With Slavery and Segregation, it took a while to get it right but in the end we eventually came to the correct position and it is my hope that the Republic will eventually get things right and reverse our socialistic tendencies by reducing entitlement programs, government over regulation and our national debt. I still have faith in America and the rise of the Tea Party and electing candidates that resist these dangerous interests validates my faith that America will return to its Free Market roots. Demands for more government handouts and increased entitlements are coming from a larger percentage of our population and I would call this a dangerous faction that is intent on fundamentally transforming our Union. Occupy Wall Street, the fight in Wisconsin over the ‘right’ for employee public service unions to collective bargain and the Income inequality meme are all evidence of factions that seek to destroy the American way of life and put us on a path that Greece is on right now. Madison is right that the Republic can only control these dangerous factions if the “fit characters” rise up to the calling of their office and pass legislation that negates these dangerous doctrines of the Left. Let’s hope that “the whole body of the Union” rises up and stops this dangerous and ignorant transition from Capitalism to Socialism. 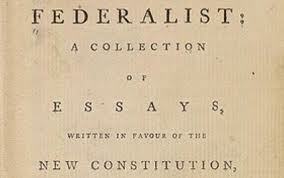 Between you and Dapper Dan (over at Principles, Not Men) I learn WAY more about the Federalist Papers than I ever did in school. Oh, and thanks for Tweeting out my post from yesterday. Flori Duh put it in her comments on HotAir this morning, and it took me a while to trace back how it got there. Appreciate it, sir! I’ll try to return the favor soon…. My pleasure Justturnright. I always set aside at least a couple of evenings when I don’t blog but instead, read and share great posts from fellow patriot bloggers!